Oct 5th?! Was that really my last blog post? Oh my gosh time has flown. Since that last post (written in Minneapolis), I visited Chicago, Minneapolis (again), Dallas, and Omaha. I was on the go…to say the least! Somehow, in the midst of all this craziness, I also managed to pull off a Halloween Party. More than 20 friends filled our home dressed as their favorite Saturday Night Live character. 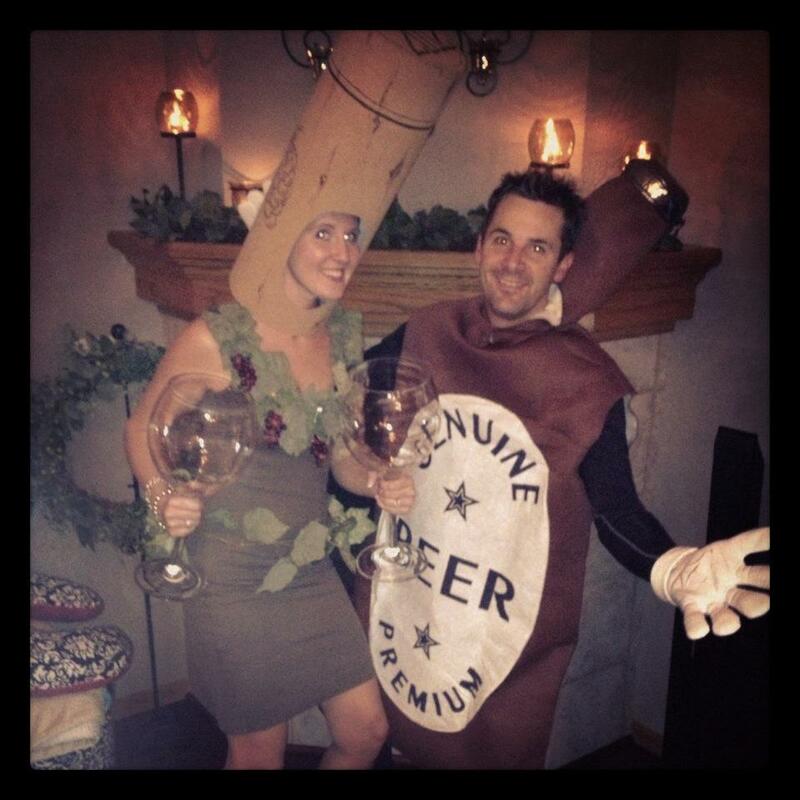 Admittedly, I have never been much for costumes or candy…but this year I thought it was time we tried something new! While Ryan and I dressed as Justin Timberlake and Lady Gaga in their Liquorville Skit, Mary Katherine Gallagher, Turd Ferguson, Church Lady, and many more made their appearance. What a fun night! Of all of the food I prepped, there were two clear hits. Both of these recipes came to me from one of my dearest friends, Jenny (Tews) McCauley! Yes. 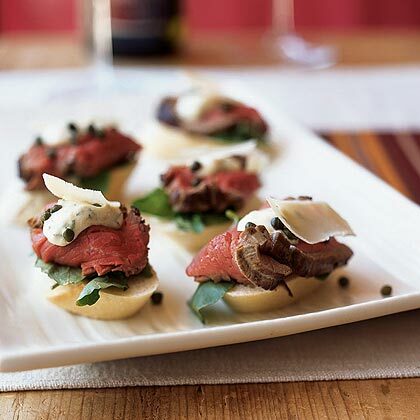 Jen made these Betty Crocker Tenderloin Canapes for my bridal shower more than 8 years ago (recipe below). Last Christmas, she also whipped up a batch of Baked Ham and Cheese Party Sandwichs…HEAVEN! That recipe will come soon as well. So, if you are beginning your holiday party planning, be sure to add these canapes to your menu. They are simple and delicious! Heat oven to 450°F. Place beef tenderloin in ungreased shallow metal roasting pan or ovenproof skillet. Rub beef with oil. Sprinkle with salt and pepper. Place pan over medium-high heat; cook until beef is browned on all sides. Place beef in 450°F. oven. Immediately reduce oven temperature to 375°F. ; bake 30 to 35 minutes or until meat thermometer inserted in center registers 140°F. Remove beef from oven. Cool 30 minutes or until completely cooled. If desired, wrap tightly; refrigerate until serving time. Meanwhile, in small bowl, combine mayonnaise, onions, capers, mustard and horseradish sauce; mix well. Cover; refrigerate until serving time. Slice beef very thin. Spread bread slices with sauce. Top each with small piece of radicchio, beef slice and watercress. Serve immediately, or cover loosely and refrigerate until serving time. Delicious Finger Food! Elegant and hearty at the same time. Your guests will love it! « Older Post BASTA Pizzeria Ristorante	» Newer Post Happy New Year! Love the costumes!!! May have to steal that one for next year! Weren’t these the canapés also devoured during a girls weekend of years past? Mmmmm. Hi! I came across your Lady Gaga photo on google. I was wondering, could you tell me how you made your head piece?? I’m going to her concert next week and would like to wear her Liqourville outfit. Thanks! !